This was a fairly popular soda flavor, both bottled and at soda fountains. 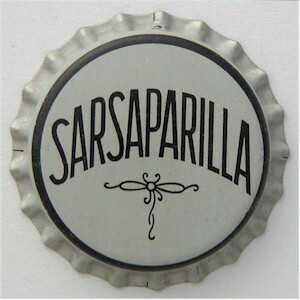 Today if you go to Vietnam, they sell sarsaparilla under brand names we think of for root beer. Quick - try spelling it correctly without looking. According to an old Reader's Digest quiz this is one of the twenty hardest words to spell correctly in the English language. Up in Orange County, NY, near Newburgh, there were local soda products made under the Costa name. Hoffman's Cream Soda was also superb, as was their "Black Cherry Vishniak". In fact, theor products were ALL good!!! NYC-area supermarkets carried a brand of sodas called Hoffman, with distinctive bottles. Sarsaparilla was one of the flavors they offered, along, I think, with black raspberry and a few others I never see anymore.